Fresh from a reprieve given by the Supreme Court, Sahara group chief Subrata Roy has told the Supreme Court that it was ready with a roadmap to deposit the remaining amount of Rs 12,000 crore in the SEBI-Sahara account by December 2018 to be refunded to the investors. Meanwhile, the Sahara Group said in a Statement: In Friday’s hearing, Hon'ble Supreme Court has allowed SEBI, at the request of Sahara, to re-auction certain properties for which the buyer at much higher price is available while SEBI was selling them for a lower price. Therefore the Saharas stand has been vindicated that Sahara property were being sold by SEBI for a throw away prices. It is to be noted that on September 28, the bench had almost send Roy back to Tihar jail in the morning following heated verbal exchange with his senior lawyer Rajeev Dhavan but later in the evening gave him one week to surrender and also agreed to hear his plea for parole extension. The turning point in the day long drama was when senior lawyer Kapil Sibal who came rushing in for an urgent mentioning just before the bench rose for lunch and tendered an unconditional apology which saved the day for Roy as CJI Thakur told Sibal that “let me consult my brother judges”. It all started when an altercation ensued between Dhavan and CJI Thakur when the lawyer said the group were not involved in the process of selling of properties by the SEBI. Dhavan said “it was not a fair statement that they should be sent back to jail. We have deposited Rs. 352 crore already as per the last direction, which is Rs. 52 crore more. It is not a fair statement. You cannot pass such an order,” he kept repeating. Counsel for SEBI said 58 properties were put on auction and they had sold eight of them, raising Rs. 137 crore. Five of the properties were provisionally attached. 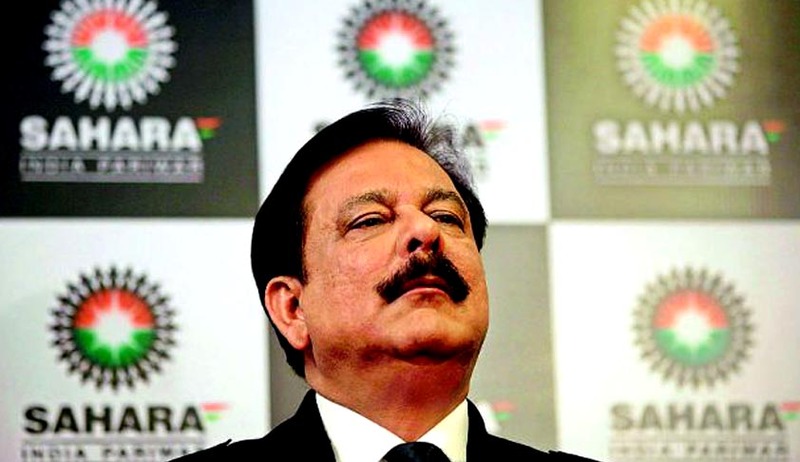 The the list of properties given by Sahara to them were those that were already attached, he said. The bench asked the Sahara chief to deposit Rs. 300 crore to be allowed to remain on bail. Dhavan then suggested that the matter be posted for hearing on September 30 when they would argue on it. Soon after the bench passed the order directing that Roy and the others — Sahara directors Ashok Roy Choudhary and Ravi Shankar Dubey, be taken into custody, Sahara withdrew its counsel and apologised before the bench but the bench it did not mollify the bench which insisted on the harsh step.